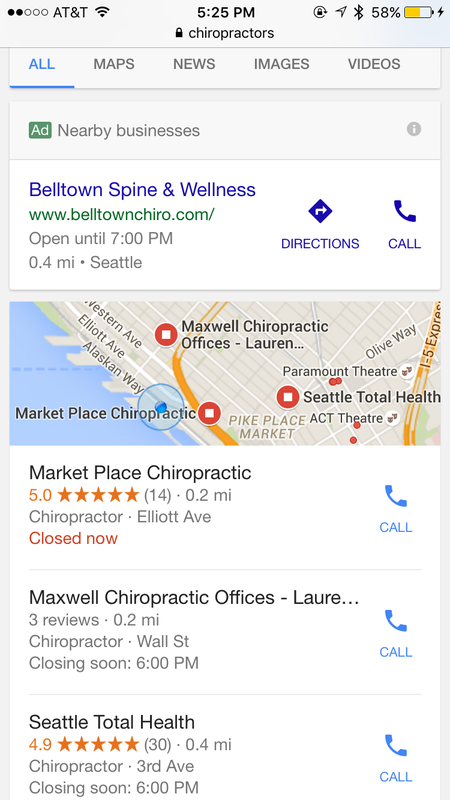 At SMX earlier local this week, Google shared that they would begin showing ads within the local 3-pack. And it seems Google has now gone live. While it was believed the ads would display within the 3-pack, the ads – at least as Google is currently running them – are not within the 3-pack. Instead they are displaying above the regular 3-pack. However, the ads are in the identical format to the regular 3-packs, so there could be some confusion over whether they are organic or not. These ads do add a note at the top that they are ads. It has the green “Ads” tag with “Nearby businesses” next to it. 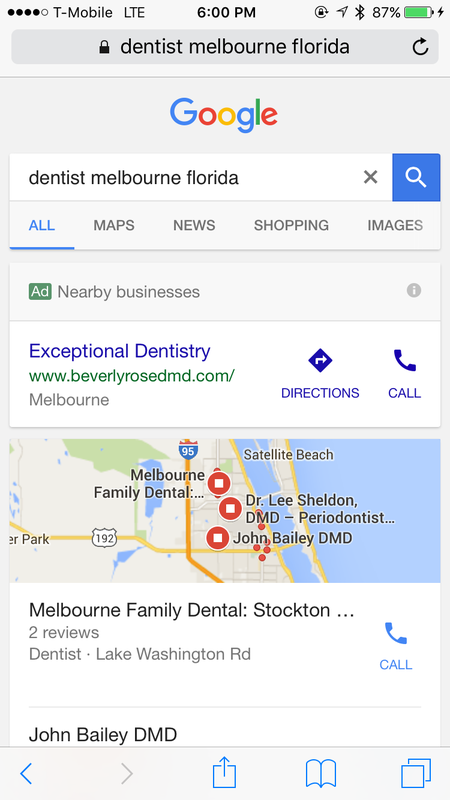 But especially when there are multiple listings, it might not be as immediately obvious that all are ads. 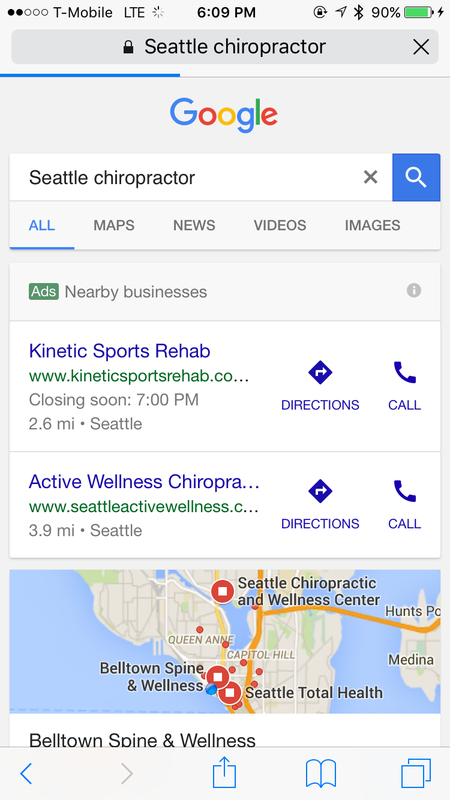 The “Ads” is also in green, which matches the new green “Ads” tag that Google switched to last week for AdWords. Another interesting thing worth noting is that now only the ads version of pack listings show the option to have the directions. The organic 3-packs do not have a link. 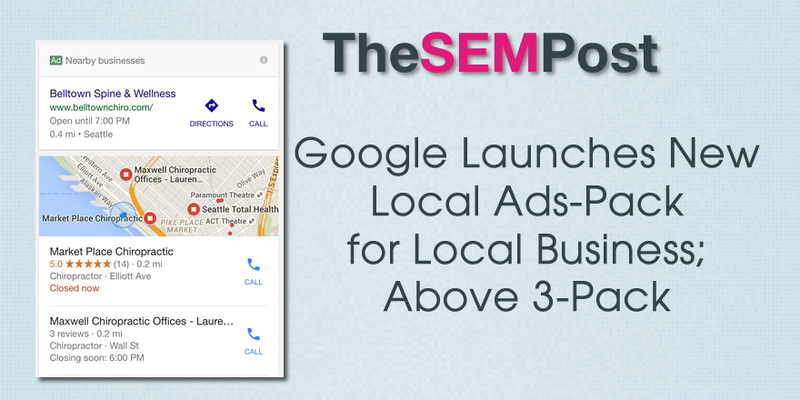 Another difference between the ads-pack and the local 3-pack is that clicking on a business in the ads-pack will lead a searcher to the website. 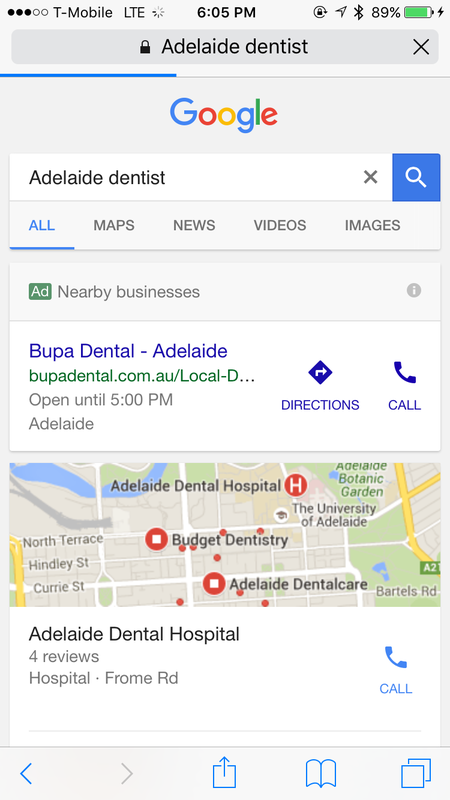 But clicking on a 3-pack listing will still just bring up the Google business page for the business, as Google has done for all 3-packs. 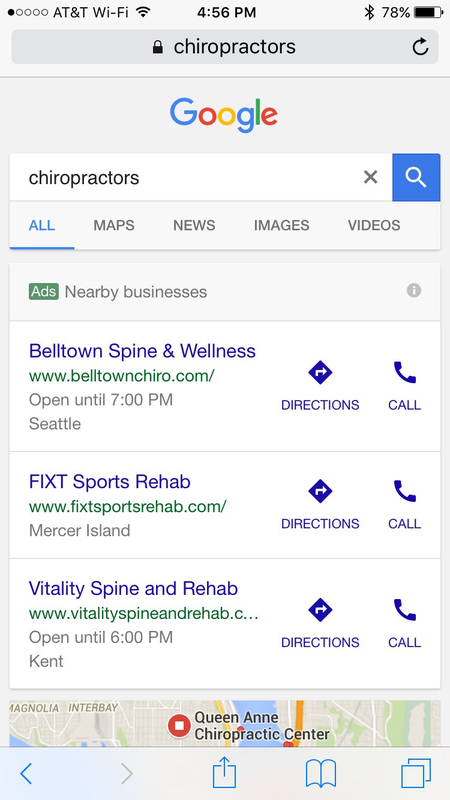 This could impact the CTR of those in the 3-pack and the regular organic listings After all, it is far easier for someone to click on the website link from the ads than to scroll past the ads-pack, the 3-pack and then get to the regular organic search results. They also add various notations that we have seen in local 3-packs such as neighborhood, distance, closing time. 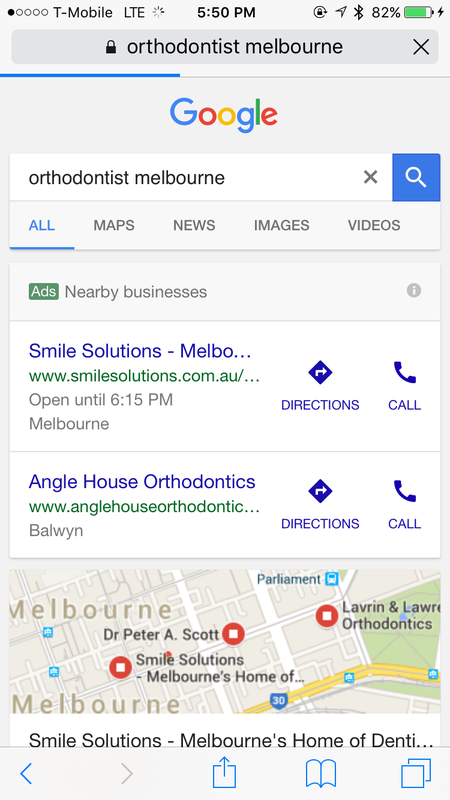 For some examples, when there are hours listed, Google seems to only show ads for businesses that are still open. But for others, with no open hours listed, they seem to be displayed even during non-business hours. 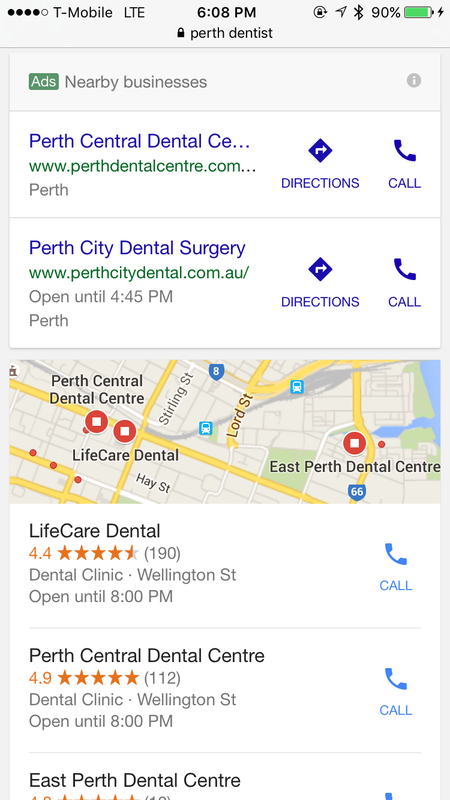 This does make sense since some people are searching for future reference, and not necessarily planning to phone or visit the business at the same time as the search. 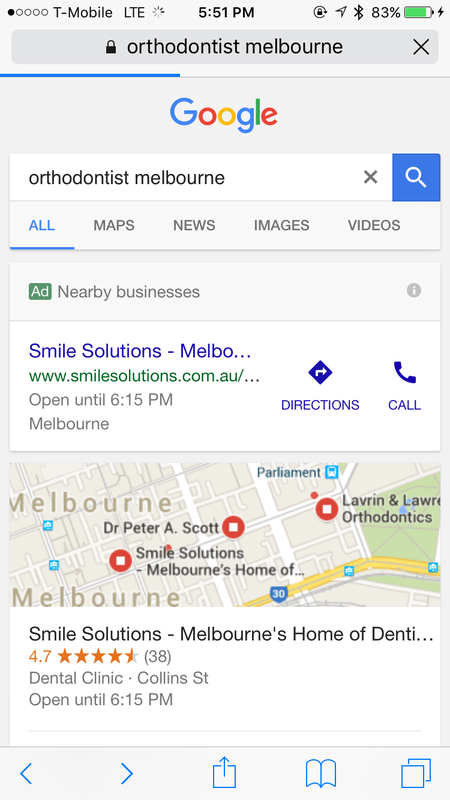 It also means that regular organic results are pushed down significantly further on the page. This seems to be available internationally but it seems to be testing only on mobile at this time.